Last night, the Anointed One delivered a speech to the American people explaining just why it was that we may have to get rid of Saddam Hussein. He delivered point after point after point and made nebulous references to “evidence” that I still have doubts we’ll ever see…the British dossier was just that, a dossier. I’ll trust unfettered inspections and only unfettered inspections. Here’s the thing–I don’t think I’ve heard anybody say “It’s okay to leave Saddam alone.” I think the vast majority of the civilized world agrees that it would be a safer place on this planet if Saddam Hussein were not in power, anywhere. 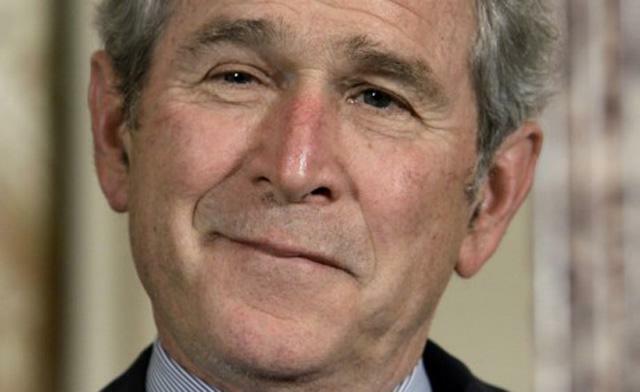 So fifteen minutes of a twenty-four minute speech were devoted to Bush telling us why it is that we agree. What I was missing was “how.” How do we do this, Mr. President? You’re talking about a full-scale invasion into a hostile territory, and the sole purpose of that invasion is the capture or death of one man. As a recent Arianna Huffington column pointed out, the resulting combat would look like the end of “Saving Private Ryan.” Or every frame of “Black Hawk Down.” Or do we go further back in film history, say, one of the alternate endings of “Apocalypse Now,” and just carpet bomb an entire population with napalm? Yesterday, Iran said it would oppose any unilateral American invasion of Iraq. Step back for a second, and realize that IRAN just offered tenuous support of IRAQ. Furthermore, it should be noted that Iran said it would NOT oppose (but wouldn’t support, either) any United Nations actions that followed on the heels of unfettered inspections. That alone should point out to us why it is we can’t go cowboy on this. On the converse side, I really want to hear Steve Earle’s controversial “John Walker’s Blues,” especially in light of the American Taliban’s contrite response at his sentencing. In his words I could understand, if not condone, and I think that’s exactly what Steve Earle is being crucified over now. Lindh is ultimately guilty of several instances of poor judgment–not the least of which was to keep quiet about the attempted jailbreak in Afghanistan that got a young CIA operative killed–and he deserves his sentence, but to consider his story anything but a tragedy all around is a bit cold and unworthy of us. This entry was posted on October 8, 2002 by bilaldardai in Music, News of the World, Politics.